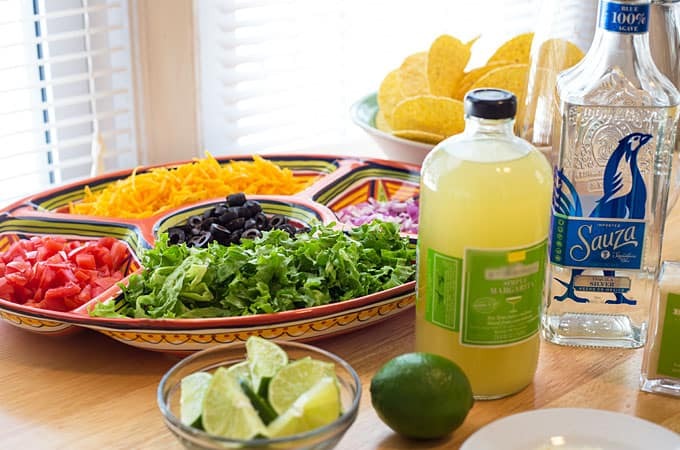 Thanks to Sauza® Tequila, I was able to pull together a “fiesta-worthy” celebration with a few close friends. It was complete with Mexican-inspired serving pieces, awesome food, and of course… TEQUILA! This post has been paid for by Sauza® Tequila. All opinions expressed are my own. It’s no secret that I love getting together with friends, margaritas and of course, good food. 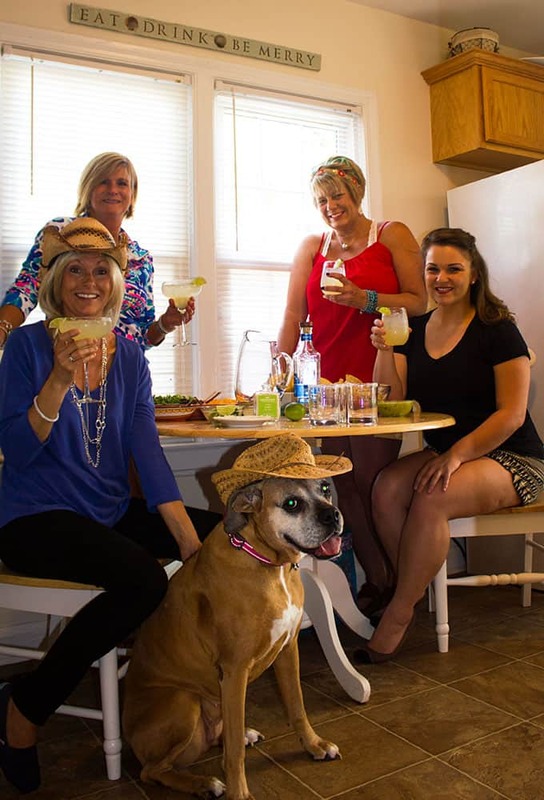 When I was invited to host a Cinco de Mayo party with some of my closest friends… of course I said yes! I’ve learned over the years that when hosting a party, serving food and drinks in big batches makes things a WHOLE lot easier. Besides, I’d rather be a part of the festivities than behind the scenes preparing food and mixing cocktails. This get-together was a breeze because everything was made in batches and ready to eat and drink as soon as my friends arrived. 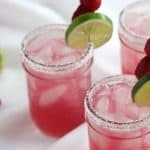 So for this get-together, I made a pitcher full of margaritas with Sauza® Tequila so I wouldn’t have to spend a lot of time making each cocktail individually. I also made a big batch of my Slow Cooker Mexican Shredded Beef with all of the fixings for the ultimate tacos and nachos. Easy peasy! 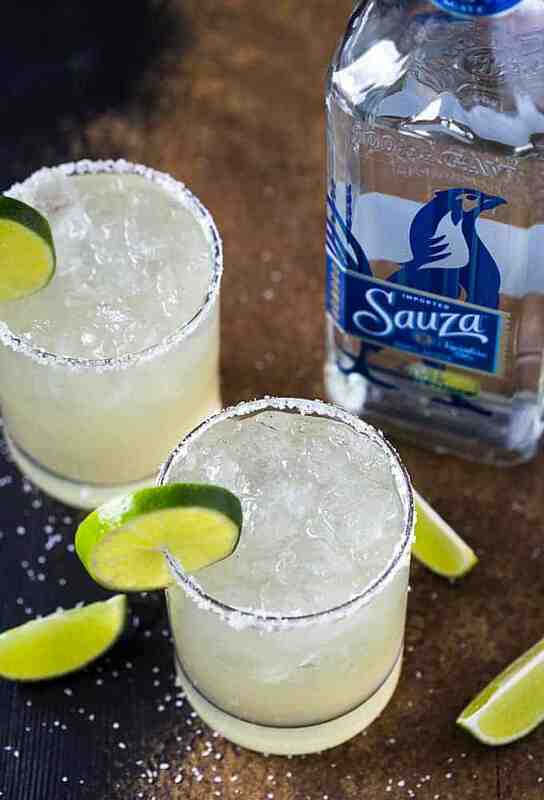 Made with 100 percent blue weber agave, Sauza® Signature Blue Silver Tequila is perfect for authentic pitcher-style margaritas to share with friends… which means less work for me and more time to enjoy the party! 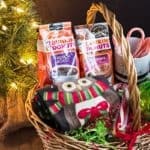 This party was a cinch to throw together! 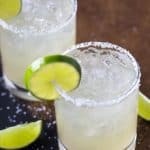 By making the margaritas and shredded Mexican beef in big batches, all I really had to do was slice and dice the toppings for the tacos and nachos. My favorites are cheese, tomatoes, black olives, lettuce and onions. I also served guacamole and salsa… the perfect Mexican fiesta! 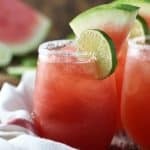 Happy Cinco de Mayo and I hope these easy (and delicious) recipes inspire you to throw a fiesta of your own! 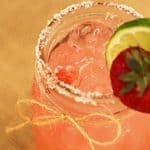 Authentic pitcher-style margaritas have never been easier! Rim glasses with kosher salt and fill with ice. 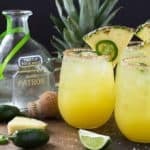 Pour tequila and cocktail mix into pitcher and stir to combine. 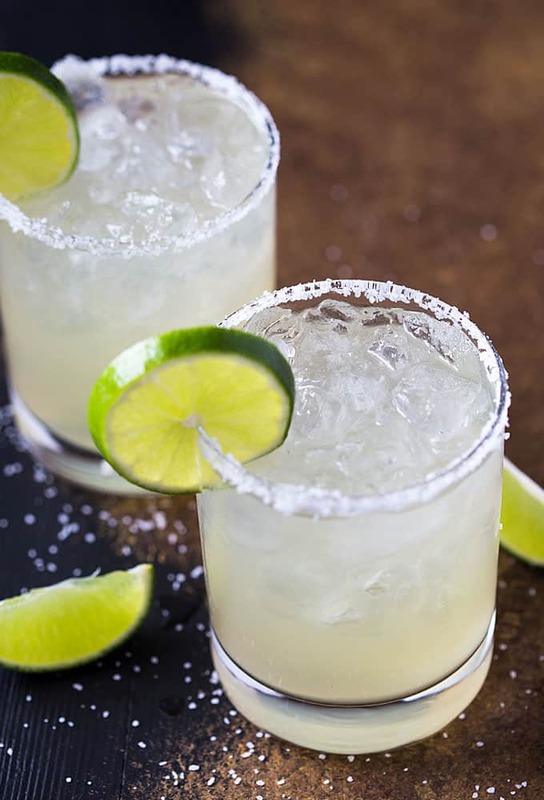 Pour into glasses over ice and garnish with lime wheel. Will have to try this tequila! We love Jim Beam so it has to be good. Looks like a good time!